Note: He/She willing to work in Abu Dhabi/ Sharjah Area. 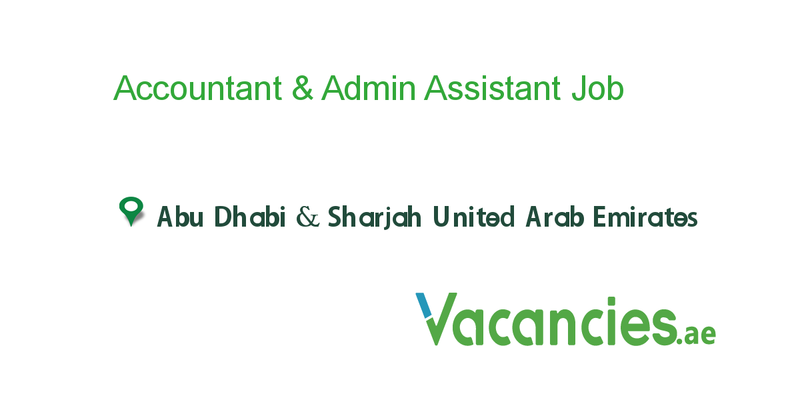 accounting administrative assistant is to act as support for the accounting department of a company. The daily activities of an accounting administrative assistant may include answering the telephone, filing, faxing, assisting visitors, managing appointments and managing the daily office schedule. Additional, administrative duties may include working on special projects, Purchase department, managing the office and supervising other staff members. Accounting tasks, such as preparing checks, creating budgets, calculating billing statements, preparing and submitting tax forms, coding documents, compiling financial records and managing inventory records are also completed. An accounting administrative assistant needs to be skilled in mathematics, communication, time management and typing. It is also important to have an excellent grasp of English grammar and spelling, work well with others and be detail oriented.